We offer an initial free SEO health check – no catches, just plain-speaking advice. All of our consultants are SEO and Google IQ qualified. Our SEO packages are easy to understand. We charge by the hour, plain and simple. What is the best practice SEO? It’s what it takes to get to the top through high quality, researched and analytical work. SEO unlike many other paid marketing spaces cannot be bought. It is continuously changing and improving through algorithm updates, local relevancy as well as social signals and influences. SEO can benefit every channel and improve its performance tenfold if implemented correctly. This therefore makes it very competitive as well as multi-faceted digital marketing discipline. To succeed in SEO it is crucial to have the right tools, knowledge, research skills, analytical skills as well as well planned out short/medium/long term strategy that will truly deliver excellent results on ongoing basis. 30% of Technical work needs to be done. Here our experts will analyse your website and ensure that issues such as duplicate content, code errors, language tags, localisation tags as well as canonical tags, 404 errors, unintentional 302 redirects, and many many more – all are correctly implemented across the whole website and are not hindering the performance of your website. SEO+ will work with your development teams to fix all of the issues and if required with granted access can action implementation independently. 40% of Onsite optimisation, will need to be undertaken. Here our experts will will conduct a thorough keyword research, which will help them to identify the right keyword strategy for your website and your market. Once we know what keywords your business will benefit from, we will ensure that all of the onsite elements such as meta data (which is visible to search engine robots and to users when they search in search results), internal links (that is making up an important part of your website architecture) as well as H1 and H2 titles – all are optimised across all of your website pages. This will ensure that all of your website and its pages are relevant for the chosen search queries in search results. 30% of the ranking factors are based on the Off-site strategy, which consists of the high quality strategic digital content marketing work. Here SEO+ expert will create and deliver high quality content to our partners, all of whom have an established large following guaranteed to bring your business the right type of brand attention and exposure. Once all of the 3 factors are taken care of and addressed you will see your website climbing up the search engine results and gaining visibility. Understanding your business and your marketing goals are a key for successful SEO strategy. All of our SEO experts have a vast amount of experience and have worked across finance, travel, fashion, health, retail and creative industries. 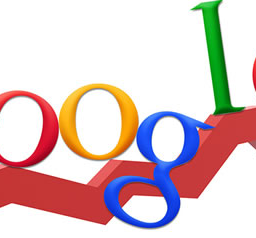 This therefore will give your business an advantage when it comes to our understanding of the market and what it takes to truly succeed in search engine results. Here SEO+ experts will analyse the structure of your website and make recommendations designed to improve its user-friendliness and search crawlers accessibility. If you would like to relaunch or refresh your website with us then visit our web design services page here for more information and examples of our work. Getting your website exposure through off-site work will ensure its authority is increasing and its pages are ranking for the strategically optimised key phrases. The stronger the sites we connect your website to the better authority your website will gain over time and the higher visibility it will have in search results. All of this in turn will bring the right type of visitors to your website. Great website optimisation will improve relevance of your website and your website’s pages for the right keywords. Once the keyword research stage has been completed and confirmed we will be able to refresh and optimise the content on your website. The optimisation process will include not only onpage optimisation (internal links, onpage content, page titles, etc.) recommendations, but also optimisation of visible to search engine robots and users in search results Meta Titles and Descriptions. All of these actions will help to increase website relevance in search results for the chosen by you and recommended by us keywords. Throughout your campaign a dedicated SEO+ consultant will monitor and report on the progress as well as answer any further questions you or your colleges may have about your marketing activities. If you want to gather like-minded and interested in your services followers, we can help you to set up, build and engage with your social media followers. Click here for more information about our Social Media Services. 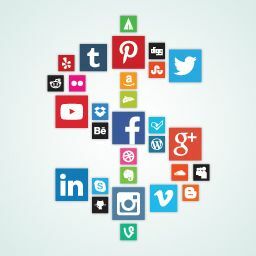 As Social Media now has become an important part of every marketing campaign, we at SEO+ will help you to build and enhance your internet presence. To make sure your website will stand out from the crowd our professional copyrighters can create content not only for your website but also for the placements on the external partner websites. We often create optimised website copy for your standard pages, e-commerce product pages as well as articles, press releases, news, blog posts, research materials and thought leadership pieces. If you need to have our website copy translated in another language, please get in touch with SEO+ and will will be happy to help.For further information Click here for more information about our copywriting services. SEO+ specialists can also produce infographics, games and videos for your marketing campaign. Get in touch for more information. All of our consultants are SEO analytic certified. Through tracking your campaigns we can see how many customers are converting, purchasing, visiting and well as how the customers are navigating your website and where they are dropping off. The insights we are gathering are reported on a monthly basis through monthly reports. 10. 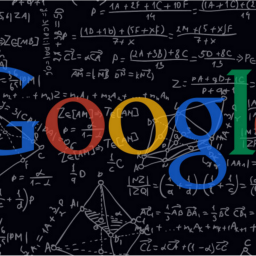 What does Google see when it looks at your site? SEO+ will set you up or recommend the appropriate tracking codes, so you can see – and control – how Google perceives your online presence and how much traffic you receive on a daily basis. Google Business Places will allow your customers to find you when they’re looking for a business locally. We’ll set you up with a Google Business Places account for each of your local outlets and then optimise your website to reflect your geographic presence, ensuring you’ll come top of the rankings for local searches. To formulate the best and most effective strategies for our clients we keep an eye on your competitors’ strategies by tracking their rankings, traffic and overall market share of voice. Keyword research is one of the most important search activities to get right. SEO+ will identify the best keywords that will generate the most conversions for your business and therefore will maximise your revenue streams over time. Each month we will report on the previous four weeks’ activities and data including traffic, visits, conversions and sources, and monthly keyword rankings. Plus advice on how to use these to fine-tune your SEO campaign.